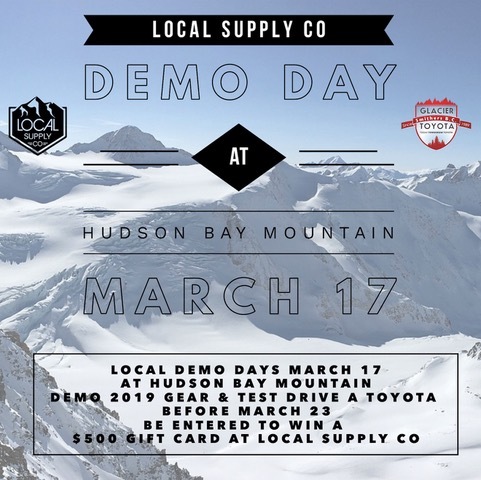 Local Supply Co. is hosting a Demo Day on the 17th of March with loads of brand new 2019 Skis and Snowboard from various brands! Upon shredding on this new gear, you’ll receive a coupon and if you test drive a Toyota at Glacier Toyota, you will be in the draw to win a $500 gift card at Local Supply Co! Contact Local Supply Co. at (250) 847-5388 for more information.